All the benefits of the Cannabis botanical, just no high! As your trusted source of pure CBD products, CBD Nutritional is committed to providing education and information about the cannabinoid system, as well as the products that we sell. Because of governmental restrictions, we are limited on the type of information we can share, however our intention is to educate you with the most accurate information you will find about the cannabinoid system and how it affects the human body. I highly recommend you research as much as possible to make an informed judgement for yourself. I know it is hard to believe that this one plant, with its many cannabinoid compounds can do all that is being touted, but, truly we were designed for this plant-- its our endocannabinoid system discovered in 1986. I personally believe that many disorders are due to a build up of toxins and a lack of cannabinoids, if you will, a cannabinoid deficiency! So as we age, our cannabinoid stock pile diminishes and we begin having discomforts and disorders. So supplementation may be the answer. Dr. Ethan Russo has written about this theory, back in 2004. Please check out the PDF below. Full spectrum CBD oil contains only a very small amount of THC. FDA guidelines stipulate that it must be less than 0.3 percent by dry weight. THC and CBD are just two of more than 80 cannabinoids present in full spectrum hemp extracts; CBD, however, is the main one present. Is CBD cannabidiol hemp oil legal in all 50 States? The 2014 Farm Bill allowed for the production and distribution of CBD oil and other hemp extracts as part of state-run hemp programs. Therefore, it is federally legal for companies in the 40 states with hemp pilot programs to grow hemp and ship products, even to states without programs. However, state legislation in South Dakota and Utah currently prevent its residents from buying hemp extract products. Hemp oil can be a confusing term because it sometimes refers to hemp seed oil, and other times it refers to activated hemp extract. Hemp seeds do not contain cannabinoids such as CBD, whereas hemp extract does. CBD Nutritional's products are all activated hemp extracts containing CBD and other cannabinoids. Some of our extracts utilize organic hemp seed oil as a carrier oil. Will I get “high” if I consume your products? CBD itself is a non-psychoactive compound, so it will not get you high. Delta-9 tetrahydrocannabinol, or THC, is the compound in cannabis that creates the intoxicating effect. Many CBD oils contain small amounts of THC. Those who consume large quantities of highly concentrated oils may consume enough THC to feel slightly altered, but it won’t be the same euphoric high that people attribute to medical or recreational cannabis due to the balancing effect of large amounts of CBD. How do I take CBD oil ? CBD oil may be ingested orally, the most popular admin route by dispensing drops under ones tongue. Other application are capsules & edibles, topical, vape, nasal spray, and suppositories. Pets benefit from CBD and may be added to their food or placing it directly in their mouth. ​You do not need to prescription to purchase CBD oil with less than 0.3% THC content. However, there are some oils with THC content that exceed this limit; depending on the state you live in, you may need to be a licensed medical marijuana patient to purchase those types of products. As with all dietary supplements, the effects will vary from person to person, so a bit of experimentation is required. Some people take as little as one drop a day. Others take 30 drops four times a day. Consistency is what matters the most in achieving the desired results. CBD Nutritional’s suggested serving size is 15 drops twice a day. This is a good starting place for the first few weeks; from there, experimentation with the amount and frequency is helpful to find out what works best for your body. Upon consumption, CBD may stay present in the blood for about three to five days. Results vary from person to person. Some people may feel the effects of CBD immediately, but most need to take the product for five to seven days or even longer to notice any changes. Again, consistency is key in producing any kind of notable result. Hemp is gluten-free, vegan, paleo, and friendly to pretty much any other diet. CBD oils with no artificial flavoring are often described as having an earthy, plant-like taste. Many hemp lovers enjoy the taste of pure extracts; however, for those who dislike the flavor, taking the oil with a spoonful of honey can help mask the taste. It is legal to fly on planes with CBD products as long as they meet TSA guidelines and contain less than 0.3% THC. You can create a free account with them to be alerted and to receive updates from Congress themselves! Cannabinoids are potent antioxidants...they easily penetrate tissues giving them the ability to enter the central nervous system and brain. The antioxidant strength of CBD is significantly greater than that of either Vitamin C or Vitamin E. Terpenoids are the compounds that give fruits, flowers and herbs many of their desirable aromas, flavors and other special properties. Cannabinoids are a sub-class of terpenoids. Each cannabinoid has its own individual properties, which is creating excitement in the scientific community. Besides terpenoids and cannabinoids, hemp contains many other vitamins, minerals, phytosterols, pigments, proteins, enzymes, essential sugars, polyphenol antioxidants, flavonoids and essential fatty acids. While isolated cannabinoids have their own characteristic properties, the different compounds have synergistic effects when the whole symphony of phytonutrients are consumed together. Synergy means that the combined effect is greater than the sum of the individual parts. Another way of thinking of this is 1+1. You know that 1+1 = 2. When hemp phytonutrients are consumed together, as they naturally occur in the plant, the nutritional benefits multiply, and it’s as if 1+1 now equals 3, or 4 or more! ​WHAT IS THE DIFFERENCE OF CBD HEMP OIL AND HEMP SEED OIL? CBD hemp oil is extracted from the stalks and seeds of industrial hemp plants. The plants used are specially bred to contain high concentrations of naturally occurring cannabidiol (CBD). CBD Nutritional contains 18% CBD (slight seasonal variations may occur), which means that 10 ml or 10g (0.34 fl.oz) of contains 1,800mg of CBD. Hemp Seed Oil is extracted from only the seed and may be purchased at most grocery stores. You CANNOT get ‘high’ or intoxicated by consuming CBD hemp oil or any whole, raw natural product from industrial hemp plants. Unlike medical marijuana, hemp does not contain the psychoactive properties of THC. Additionally, scientific research* has documented that CBD is actually anti-psychoactive. You do not have to see a medical marijuana doctor to receive a prescription for a medical marijuana card or go to a dispensary. This is a major cost savings measure as well as not losing any of your constitutional rights. More than 400 phytonutrients exist in hemp plants. Super Critical Fluid Extraction technology allows us to extract all of these nutrients, without using any heat or harmful solvents. The result is a whole food with exceptional nutritional qualities. With CBD Nutritional you’re getting highly sought CBD, plus the 400+ other nutrients in a naturally synergistic, easy-to-use, easy-to-absorb form. It truly is a one-of-a-kind product. 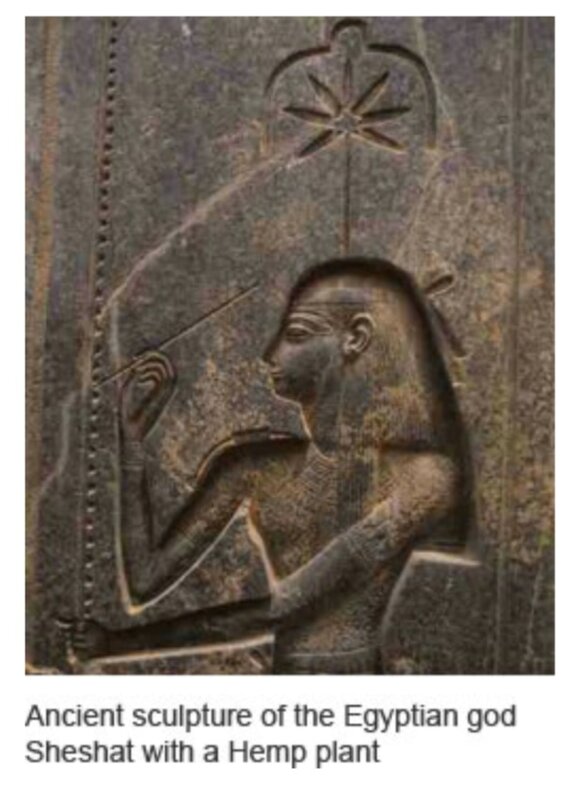 ​Every major civilization in history has recognized hemp as #1 on its list of important plants. The ancient Chinese, Indians, Egyptians, Assyrians, Persians, Greeks and Romans all revered hemp as an incomparable source of food and medicine. Now modern science is validating what the ancients all knew — and uncovering exciting new discoveries about hemp. 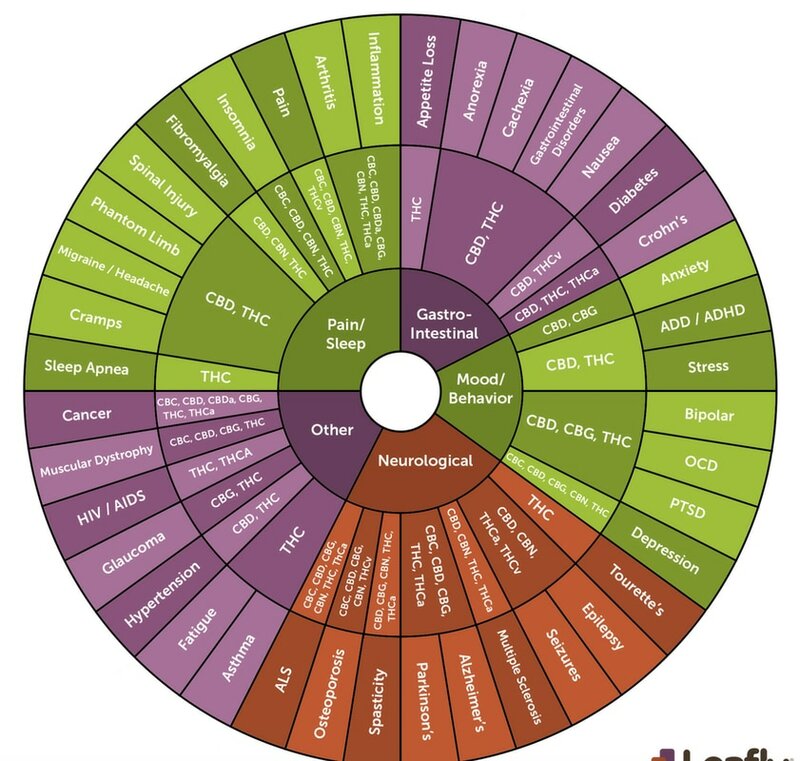 We are hard-wired with a system of cannabinoid receptors throughout our brains and bodies. When these receptors are activated, they enable two-way communication between body systems; something previously thought to be impossible. The endocannabinoid system (ECS) is one of science's newest and most exciting discoveries. There are two types of Hemp Cannabinoid receptors around throughout the body (CB1 and CB2), but they are most abundant in the brain and immune system respectively. Your ECS is responsible for making sure your entire body is working optimally. The science behind why CBD Hemp Oil is proving to be so effective is based on the human Endocannabinoid System. This system is part of our immune system and when it is boosted by taking Cannabinoids the body has a better ability to fight, resist, and also cure many diseases common to the human body...this goes for both common and serious ailments, and science is learning more about this all the time. While there are fruits and vegetables that contain Cannabinoids nothing we know of is more potent with healthy Cannabinoids than CBD Oil, and it seems CBD from Hemp is the most potent form. Cannabinoids are found to exert their anti-cancer effects in a number of ways and in a variety of tissues. Cannabinoids trigger cell death, through a mechanism called apoptosis, stop cells from dividing, prevent new blood vessels from growing into tumors, reduces the chances of cancer cells spreading throughout the body, by stopping cells from moving or invading neighboring tissue and spears up the cell's internal waste disposal machine, a process know as authophagy, which can lead to cell death. All this effects are thought to be caused by cannabinoids locking onto the CB1 and CB2 Cannabinoids receptors. What Are Benefits of CBD Oil? Cannabidiol (CBD) is the most predominant cannabinoid in hemp, and has many beneficial properties. Effect on epileptic patients – Administration of oral cannabidiol to patients of epilepsy did not show any serious side effects but helped calm the patients down. Positive effect on brain aging – Experiments carried out on lab animals have shown that cannabinoids reduce inflammation of the brain and improve memory by triggering release of anti-oxidants from the brain. With age, new cells brain cells stop growing, leading to degenerative brain problems. But with introduction of cannabinoids, damaged cells are removed and power of mitochrondria gets activated. Cannbinoids lead to increase in brain derived neurotrophic factor (BDNF) which promotes growth of new cells and also protects critical brain cells. So sustained injection of cannabinoid to the brain can help to protect it from neurodegeneration. Increase of BNDF slows the natural degeneration and inflammation of human brain leading to reduction in neurodegenerative disorders like Alzheimer’s. Relief from chronic pain and spastic movements– The research on the use of cannabidiol for pain relief shows that it reduces pain by inhibiting the brain neuronal transmission pathways that transmit pain. Effect on cancer cells– CBD inhibits growth of cancer cells and kills them by destroying the receptors that regulate cancer cell development. Department of Biochemistry and Molecular Biology at Madrid. Effect of hemp seed oil on skin problems – To reduce symptoms of eczema and psoriasis when the skin turns extremely dry and gets inflamed because of water loss, products like petroleum jelly and hemp seed oil are used. These work as a barrier for trans-epidermal loss of water and keep the skin hydrated due to existence of polyunsaturated fatty acids. Cannabinoids have anti-inflammatory properties which help in regulating the production of hormones and proteins and maintain dermal health. Effect on obesity and anorexia – The CB1 receptor in the brain that controls central appetite can be modulated with use of cannabinoids to increase appetite or reduce food intake. Studies and research are being conducted by private and public bodies to find out the medicinal uses of cannabidiols in treatment of neural disorders and pain relief. Since it has relatively low side effects on the human body, both in-vitro and in-vivo tests are done to check its cytotoxicity and metabolic effects. Most studies using CBD have been done on animals and certified clinical studies on humans are not widespread. Treatment of chronic diseases like cancer and epilepsy with CBD has potential but different compounds are still in experimental stages and more tests have to be performed. For other neurodegenerative disorders like Parkinson’s disease, Huntington’s disease and Tourette’s syndrome, the potency of CBD as a potential therapy technique is being studied too. The CBD Oil Review website suggests using everything from 2 – 1200 mg per day for DIFFERENT treatments.